To be the preferred, most trusted communication service partner that provides a wide suite of fiber services and to leverage our unique diversified culture to provide our customers with extraordinary service & quality. DataWatt Solutions is committed to providing exceptional quality and all-inclusive fiber optic construction services that exceed our customers’ expectations. We have become an industry leader, by building powerful and lasting partnerships, with both our employees and customers based on trust, honesty, predictability, quality and responsiveness, in meeting the highly demanding and ever changing needs of all. Our pledge is to always maintain a concentrated focus on providing exceptional quality and service. We will do this by continually advancing our team member skill sets, demonstrating a high degree of integrity/professionalism to our customers and by treating all our partners with the highest degree of respect to fulfill this mission. Started in 1998, DataWatt Solutions focuses on dependable, high-quality construction. We specialize in the outside plant construction of fiber optic cable, inside plant placement, as well as termination, maintenance, and emergency restoration of all our services. With stellar Operations teams and excellent Project Management, DataWatt Solutions can provide a turnkey solution for any project. DataWatt Solutions enjoys a stellar reputation within the industry for completing projects on time and within budget. We strive to not just satisfy the customer, but leave a lasting impression of a project well done. That is why our customers continue to come back to us. 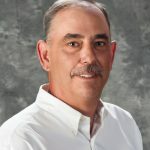 Martin Burkhart has over 30 years of experience in the electric utility and communication industries. Martin graduated in 1983 from the University of North Carolina Charlotte with a Bachelors Degree in Electrical Engineering. In 1985, Martin received his Masters Degree in Electrical Engineering from North Carolina State University. 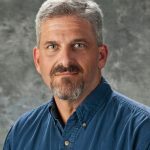 Prior to beginning DataWatt Solutions, Martin worked for Duke Power (now Duke Energy) in Engineering, Construction, and Operations general management positions. 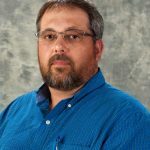 As a licensed general contractor in North Carolina and a Licensed Professional Engineer in North Carolina and South Carolina, Martin has owned and operated DataWatt Solutions since 1998. Martin has lead DataWatt Solutions from a small family centric business to a professional business that currently has over 25 employees. At this size and experience level, DataWatt Solutions can provide turnkey solutions to meet any customers’ expectations. Martin is extremely proud of the business he has built and looks forward to measured growth in the years to come. Jim Brogden has over 35 years in the telecommunications industry. Starting as a management trainee in the Outside Plant department with Southern Bell/BellSouth, he had numerous experiences with increasing responsibilities in public relations, customer service, public affairs, and sales/marketing. He has also experienced the start-up and growth of new companies including tw telecom (now Level 3), and US LEC (now Windstream) holding various leadership roles in those enterprises. 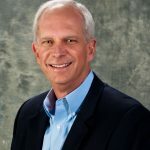 Prior to joining DataWatt Solutions, Jim was with DukeNet Communications responsible for the Enterprise Sales effort primarily in the Carolinas. 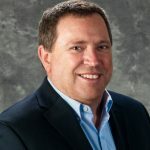 Now as Senior Vice President with DataWatt Solutions, Jim can utilize the experience and relationships to successfully guide the sales and marketing efforts, contract and billing administration, and human resources efforts. Jim is a graduate of the University of North Carolina Wilmington with a BS in Management and attained a MBA from Oral Roberts University. Jim looks forward to being your initial contact as you explore the benefits of collaborating with DataWatt Solutions. 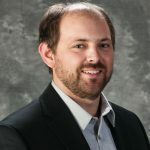 Jason Burkhart is a graduate of North Carolina State University with a Bachelor of Science degree in Electrical and Electronics Engineering. Jason is responsible for our design services, IT systems, inventory control, fleet maintenance and safety compliance. Jason is a licensed general contractor qualifier in North Carolina for Public Utilities – Communications. Jason has numerous certifications including fiber optic and OTDR, NCDOT and VDOT work zone control and is an Engineer in Training. He is currently pursuing his Professional Engineer Designation with completion scheduled for 2018. Jason is excited about the plans for growth at DataWatt Solutions and looks forward to being an integral partner in the expansion. Terry is the Director – Construction for DataWatt Solutions and has fifteen years of experience in the industry. He specializes in underground fiber optic construction and maintenance and emergency restoration. 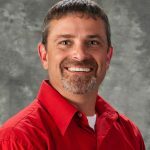 He is skilled in directional drilling and project management and has certifications in confined space and NCDOT Work Zone requirements. Terry is experienced in working with controlling agencies, property managers and home owners to allow for a smooth construction process from beginning to finish. Through Terry’s leadership, his construction crews are well trained in all construction activities as well as being customer focused. For Terry, the quality of the work, customer satisfaction, and the safety of his employees are critically important. He enjoys working at DataWatt because of the part he has played in building the company and because he is able to be a mentor to the guys in the field. He enjoys spending time with his family, attending church and leading the choir there. He lives in Orrum, North Carolina and loves to hunt and fish. Chad is the Director – Splicing for DataWatt Solutions. He has been splicing for almost thirteen years and is certified in Anritsu OTDR use as well as FIS certified in splicing and OTDR. Through Chad’s tutelage, his splicing teams are well versed in all aspects of splicing with the goals to ensure efficient and effective network connectivity and to minimize downtime for our customers through his teams’ emergency restoration response. For Chad, the safety of DataWatt employees, a good work ethic, and quality performance are critical to DataWatt’s success. He emphasizes the importance of customer relationships for driving the success of DataWatt as a reputable company. He loves the satisfaction of supplying a service to a customer and receiving positive comments from non-customers who have learned about the company from its reputation. Chad loves to hunt and fish, as well as enjoying time with his family, such as watching his kids play soccer. He currently lives in Lexington, North Carolina and is always open to watching some college basketball and professional soccer. David Reid is the Director – Contract Administration for DataWatt Solutions. His roles include contract administration, providing excellent customer support, securing subcontractor resources, and managing large scale projects. Prior to coming to DataWatt, David managed the construction and splicing efforts with regards to the DukeNet fiber rollout for T-Mobile’s 600 cell sites. Additionally, he previously managed the construction of a 600-mile fiber build project for MCNC. Since 1999, David has been certified as a BICSI RCDD and is currently a Qualifier for P.U. Communications General contractors license. DataWatt’s dedication to the customer and the value it places on completing projects the correct way is important to David. David appreciates the willingness of DataWatt team members to work together for the good of the customer and the company. David has the expertise and experience to handle all aspects of our business. He lives in Belhaven, North Carolina and loves salt and fresh water fishing. 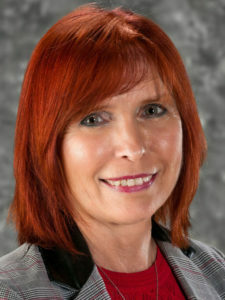 Doreen has over 30 years finance and accounting experience managing budget, forecasts, capital & operating expenses. With 10 years telecommunications / cable knowledge, Doreen brings in-depth understanding of understanding industry practices. A native of Scotland, Doreen has worked for Fortune 50 companies both internationally and in the US, gaining valuable understanding and knowledge of operations processes and procedures. Alan is the warehouse manager for DataWatt Solutions. He is certified as a Federal Motor Vehicle Inspector and as a Safety Inspector. He enjoys working for DataWatt because it is a company that cares about its employees. When not keeping the warehouse going, he likes hunting, fishing, and spending time with his family. He currently lives in Lexington, North Carolina.